An Entertainment Destination in Hartford! The Theater of the Performing Arts 600-seat, state-of-the-art proscenium theater. Facilities also include a 120-seat Black Box Theater, classrooms and support spaces. There's plenty of free, secured parking in the Learning Corridor parking garage. Enjoy our spacious, state-of-the art performance spaces where we present a spectrum of diverse programs, showcasing Arts Academy talent and local artists and organizations. Use of our spaces is available for outside groups. Click below for more information. 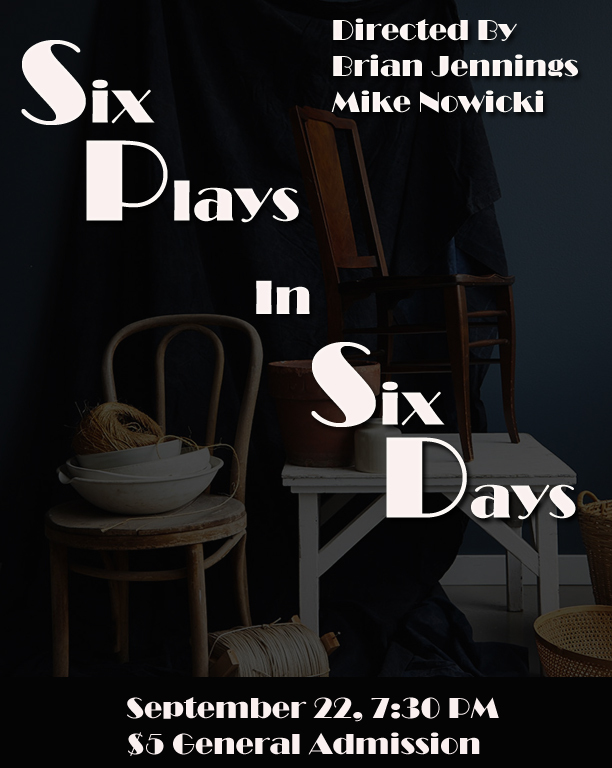 A week-long experiment where students create original plays from concept to fully staged productions in only six days, to be performed in front of an audience at the end of the week. Choreographers’ Showcase is a rare opportunity for high school dancers to learn and perform with critically acclaimed choreographers. This year we welcome choreographers Margo Sappington, Stephen Pier, Leslie Frye Maietta, Susannah Marchese, Judy Dworin, and Jasmine Domfort. The Comedy of Errors is one of the oldest and perhaps funniest of Shakespeare’s plays. Two pairs of identical twins, tragically separated from each other 20 years earlier, arrive in the same city on the same day. A series of errors, mistakes, and miscommunications occur, leading to twists, turns and hilarious hijinks along the way to a long-awaited reunion. A sampling of student performances and artwork. Visual Arts Fall Exhibition will be on display until December 13. Ring in the holiday festivities with the Academy music department as they present musical classics of the season! Join in for a sing-a-long at the end. $5 at the door. No online ticket sales. Alumni Day Art Show showcasing graduates work digitally. January 18, 19, 25, & 26; 7:30 p.m. Shortly after acquiring a mysterious plant, Seymour discovers just how unusual it is. As the plant grows, Seymour realizes that this plant is actually a blood thirsty monster. However, he hesitates to kill it, for not only has this plant brought him fame, but it has given him the one thing he truly desired Audrey, the love of his life. Seymour struggles to make a tough choice… before it’s too late. Kick off the new semester with our faculty. February 8, 9, 15, & 16; 7:30 p.m. This concert features work generated within the dance department’s curriculum. Choreographed and created by Arts Academy faculty to celebrate the importance of repertoire, original choreography and the ballet canon. A Multicultural Collaborative Visual Art Exhibition. March 8, 9, 15, & 16; 7:30 p.m. In a small town in September 2006, a black student asked permission from school administrators to sit under the shade of a tree commonly reserved for white students. The next day, three nooses in the school colors were hanging from the same tree. This bold new play by Dominque Morisseau examines the miscarriage of justice, racial double standards, and the crisis in relations between men and women of all classes. This show contains adult themes and strong and racialized language. Strongly recommended for ages 13 and up. Enjoy an evening showcase of the Academy’s classical and jazz music departments performing vocal and instrumental pieces from throughout the year. Stick around as we close it out with our grand finale performance with the whole music department. A fashion show, art gallery, make-up/lighting workshops and stage set models. Come by and see what our students in theater design are working on. Come to an evening of solo and ensemble performances from our students in the musical theater department. Enjoy a triple threat of dance, acting, and music in a showcase of work done throughout the year. Dance majors present their work in ballet, modern, jazz, and composition. Come see their pieces and learn about the highly disciplined process of dance performance. It’s an evening of poetry, fiction, and film. Creative Writing and Media Arts students share their works from the year. Come and enjoy an evening with our theater students as they perform and present their work from the year. May 28; 4:30 to 6 p.m.
Come and enjoy original work directed and written by Academy students. Also performing is an original piece from the Movement Repertoire ensemble. June 6 4:30, 6:30 p.m.
Senior Thesis Visual Arts Exhibition. Final senior performances and graduation ceremony for the Arts departments.